 Call recordings need to be enabled in GDPR Panels – reporting. Please be aware of GDPR regulation when accessing this feature. Once enabled, hover on ‘Reports Tab’ and click ‘Call recordings’ on the drop-down. 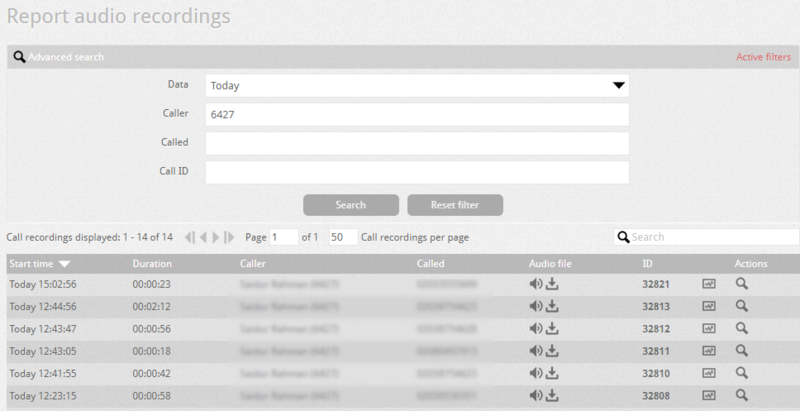 This will present a list of call recordings made today as a default. Each row displays the start time of the call, duration, caller, called, audio file and ID. Each column can be sorted by clicking the arrow next to the column name. The recordings can be listened to by clicking the icon in the audio file column. They can also be downloaded by clicking the icon. Under action clicking the icon will bring up more details about the call. The icon shows RTCP data which is used for diagnosing issues with a call. Clicking on the advanced search/active filter bar allows you to modify the parameters of the list. Call ID: Select one specific call. All calls have a unique identifier.